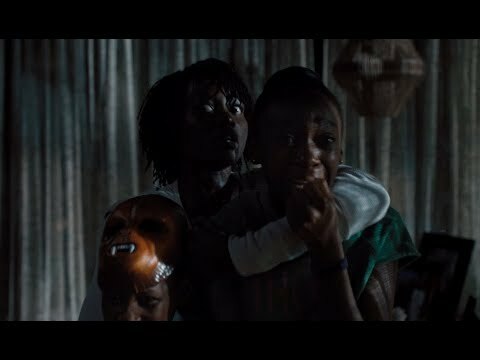 Jordan Peele has quickly and rather quietly managed to capture an all-too familiar fear that seems so relevant, yet somehow has hardly been touched by Hollywood. It’s a fear of identity and what makes us who we are, while turning that on its head so that society would exploit that as if it were a weakness. “Get Out” was inventive and subtle with that, crafting more of a modern mystery with dark underbelly, while always remaining as sharp as a tack and as witty as a comedian, all working to Peele’s strengths. The film follows a black family, the Wilsons, as they go to Santa Cruz for a summer vacation. 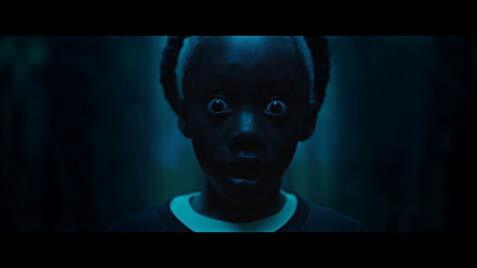 The mother, Adelaide (Lupita Nyong’o), is resistant to going to the nearby beach after a traumatic event that happened on that same beach when she was a child where she ran into some girl who looked exactly like her. When the son, Jason (Evan Alex), goes missing for a few minutes, the family heads back home, only for a group of four people wearing red gowns and carrying scissors to stand in their driveway that night. When the four attack the family though, the family finds out that they all look exactly like them. To be honest, I can’t think of a more horrifying concept than a copy of yourself that wants to kill you. This isn’t just a stranger or a random psychopath – it’s you. They know you, how you think, what terrifies you the most, because they are connected to you in ways no one else can. It would be like if your reflection suddenly attacked you just so they could replace you. How can you hate or despise something like that when they have your face? “Us” plays with this concept more than any other horror film I can remember, turning that unsettling cinematography and pacing against the audience to make it feel like they’re always being watched. Even in more subversive and subtle ways, like through mirrors, parallels and use of shadows, all to add the crisis of identity. 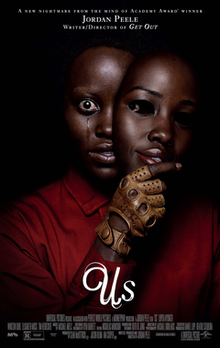 The performances of Lupita and Winston Duke only make this even creepier, as they both mother and father and their doppelgangers, who have an agenda of their own as they seem to resent their reflections and their happiness. For most directors, having every performer play two roles would be a daunting and cumbersome job, but Peele pulls this off masterfully. Overall, “Us” is a masterpiece of horror, playing with a horror of the mind and identity. Jordan Peele brings the same atmosphere of suspense, warmth and mystery that he did in “Get Out” while cranking up the horror and intrigue to unsettling levels. It never gets dull, every performance nails it, the script is just as sharp and witty as you’d expect from Peele, and it is still giving me something to think about long after I’ve watched it, which is always the sign of a truly great movie.